Ald. Donald Wilson (4th) at Monday’s City Council meeting. Aldermen approved changes to the city’s Inclusionary Housing Ordinance at the meeting. Aldermen approved — with one alderman texting in her vote — changes to the city’s Inclusionary Housing Ordinance that will increase the fee-in-lieu payments for developers and require at least half of the affordable housing units be on site at Monday’s City Council meeting. The changes come after residents voiced concerns of the strength of the ordinance, which was enacted in January 2016 following a spate of high rises that had been proposed in recent years. Last October, the city created the Inclusionary Housing Ordinance Subcommittee to amend the ordinance to more effectively require on-site affordable units. While the revised ordinance passed 8-1 — Ald. Robin Rue Simmons (5th) voted no through a text to city manager Wally Bobkiewicz as she was home sick — some aldermen expressed concerns that the changes will still not effectively provide affordable units to families. Ald. Donald Wilson (4th) chaired the subcommittee and said he was pleased they were eventually able to come to a consensus, but is wary of what the results will be. The new ordinance, effective next year, more clearly defines expectations of affordable housing units for developers by requiring at least 5 percent of affordable housing units be on site and clarifying the site allowances developers may receive for providing the units, according to city documents. Rue Simmons initially voted for the new ordinance at the meeting until the aldermen realized they had forgotten to define the income eligibility considerations. After they decided that all for-sale affordable units be sold to households earning at or below 100 percent of the area median income, Rue Simmons voted against the amendment and the new ordinance. The council could have opted to make half the affordable units sold to households earning at or below the 100 percent requirement and the other half sold to those whose incomes do not exceed 80 percent of the area median income. The ordinance also incentivizes developers to provide units as opposed to making a fee-in-lieu payment to the Affordable Housing Fund by increasing the payment for downtown developments to $175,000 per unit. Some aldermen at the meeting and members of Reclaim Evanston — an organization that promotes racial, environmental and economic justice — said the council should increase the payment to $300,000 to maximize the money going to the Affordable Housing Fund and further incentivize developers to provide the units rather than make the payment. Wilson said the subcommittee was concerned that raising the payment too high would cause developers to charge “unduly” rents. Ald. Ann Rainey (8th) said increasing the payment to $300,000 could help provide funds to subsidize families to afford housing. She said while she will not oppose the changes, providing subsidies for people in need of affordable housing would be more efficient than the current system. Rainey added that in the past few years, new developments have only produced about 43 affordable units, most of which are studios or one-bedrooms that are not suitable for families. Ald. Melissa Wynne (3rd) added an amendment saying the council will revisit the changes in three years to see if any of the provisions need to be adjusted. Wynne added that aldermen should consider implementing Rainey’s plan for subsidies to help households afford two- and three-bedroom units that are “rare” for developers to provide as affordable units. 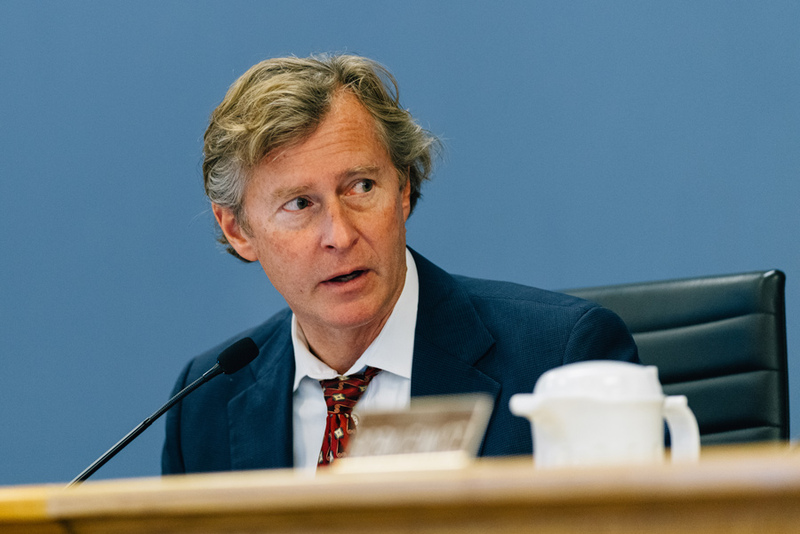 Wilson said he hopes the new ordinance will reduce angst in the community and decrease the chances of a developer proposing a project that is unlikely to succeed.